Which Australian capital city will be the first to declare? Please email the Brisbane Lord Mayor and some or all of the Councillors asking them to declare a Climate Emergency. Just use your own words! It is much more effective than automated emails that are all identical. We are starting to work towards presenting our ideas to the Council in some kind of presentation if possible, and working towards a suggested motion for the Council to vote on. 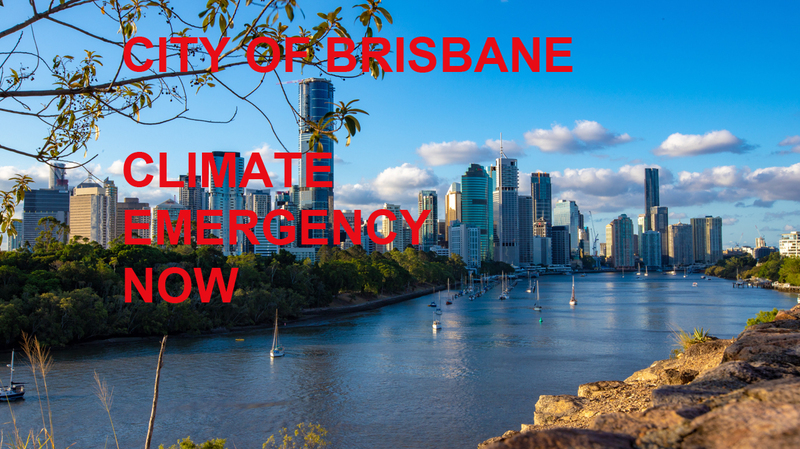 To find out more how you can help, please consider joining the Brisbane Climate Emergency Declaration facebook group. if you live within the Brisbane City Council area, please mention that you do!